Is the Federal Concealed Carry Permit About to Become Reality? H.R. 38 made headlines at the end of 2017 when the House Judiciary Committee voted 19-11 in favor of the Concealed Carry Reciprocity Act of 2017. The Act offers a federal concealed carry reciprocity, effectively allowing for concealed carry across state lines. 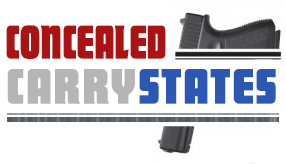 Laws are such that concealed carry is on a state-by-state basis. If you have a concealed carry in one state, this doesn’t give you the right to conceal carry over state lines. The permit holder must ensure that reciprocity is in place that allows for carry, or leave their firearm behind. H.R. 38 would amend the current federal criminal code allowing concealed transport of handguns to be passed across state lines. Both states must allow concealed carry under this provision. States would lose their right to impose individual requirements for travelers from other states that are armed. Democrats tried to amend the bill to ban violent offenders from being protected under the law, but amendments were rejected. “Forum shopping” bans were also rejected. Forum shopping allows for residents in states that do not offer concealed carry to request concealed carry in another state. The NRA claims that the bill doesn’t impact a state’s right to issue concealed carry. “Concealed carry reciprocity is the NRA’s highest legislative priority in Congress. It would ensure that states recognize the concealed carry credentials of other states. This would end abuses in anti-gun states like New York and New Jersey and allow law-abiding concealed carriers to exercise their rights nationwide with peace of mind,” claims the NRA. Federal concealed carry has received backlash due to mass shootings across the country. States are calling for stricter regulations and stringent background checks for gun owners to lower the risk of future shootings. What is the Current National Concealed Carry Qualification Rules? National Concealed Carry, as it exists today, is very restricted. There are laws in place that allow for certain individuals to carry in any jurisdiction. There are certain exceptions in place, but this allows anyone that falls within the Acts requirement to carry a concealed firearm regardless of state or local laws. Amendments were again made in 2013 that allowed for military police officers and civilian police officers that are employed by the U.S. government to also be protected under the Act. Clarification for anyone protected under the Act can be read at Cornell Law School: 18 U.S. Code § 926B and 18 U.S. Code § 926C. There have been questions pertaining to police officers that reside in states that do not allow concealed carry, such as New Jersey and New York. Under the all state concealed carry permit, individuals under the LEOSA would be allowed to conceal carry nationally in all 50 states. There are a lot of non-supporters of a federal concealed carry that claim that the law will allow potentially violent individuals to conceal carry. There are also questions as to whether or not the government is infringing on the rights of states to implement their own laws. R. 38 protects the constitutional right of a citizen to carry throughout the nation. The Act is no different than states that recognize marriage and driver’s licenses from other states. Supporters also claim that they trust a person that conceal carries from another state since they must apply for and receive a permit to carry. The requirements of the state are enough for many supporters to feel confident in the person sitting next to them with a concealed carry. Law-abiding citizens that have permits can carry, but citizens without a permit to carry will not have a right to carry. Supporters also claim that the law-abiding citizens will be able to travel freely throughout the United States and not have to encounter lawsuits along the way. Current laws are such that a person must not carry over state lines. Truckers are impacted by these laws and often have to put their firearms in a safe when traveling into specific states. A person that conceal carries into a state that doesn’t allow for concealed carry reciprocity can face legal penalties for upholding their constitutional rights. Republicans that are against the bill claim “H.R. 38 expands federal power over a right that ‘shall not be infringed,’” the letter continued, “and, by using the Commerce Clause, it sets a dangerous precedent that future Congresses may use to expand regulations on firearms,” according to GovTrack. The Senate is slated to take up H.R. 38 sometime in the spring, and 39 of 52 Senate Republicans have sponsored the bill so far. Several opponents to the bill claim that if the bill passes, it will make it much harder to push any background check legislation through in the future. A National Instant Criminal Background Check System amendment was proposed in the 11th-hour by North Carolina GOP Rep. Richard Hudson before the bill passed through the House. The amendment would have allowed state agencies to enter certain information into a national system that would be checked against anyone trying to purchase a gun. The amendment wasn’t highly supported because legislators suggest adding this particular amendment to its own bill will allow it to pass through the Senate faster. The overriding of a state’s rights to create their own concealed carry laws is a major concern among non-supporters. New York representatives are especially concerned that residents and travelers may soon be able to walk around the city with guns. Representative Jerrold Nadler from New York, a Democrat, claims that public safety would suffer if the legislation was adopted. Updated information on Congress’ website suggests that there are 63 original cosponsors of the bill. This figure has since swelled to 213, with 210 Republicans pledging their support for the bill. Three Democrats have claimed that they support the bill. Fix NICS Act of 2017 – This act comes up numerous times under H.R. 4434, H.R. 4477 an S 2135. Police Officers Protecting Children Act – This bill’s latest action took place on 06/23/2017. Unlawful Gun Buyer Alert Act – This bill is still going strong and had its last action on 12/13/2017. H.R. 38 has not been in the news recently and will likely remain out of the spotlight until the Senate starts to take action on the bill. The bill had been referred to the Senate on 12/07/2017, with no specific date given as to when the Senate will start considering the bill. The segment attempted to shed light on both arguments, and the officials in New York claim that there are 50 million visitors to New York City annually, and that even if a small percentage of them have guns, it means hundreds of thousands more guns on the street. More information about the bill can be found on Congress’ official website.